Bedroom is the place that should be the most beautiful, soothing and comfortable place in the entire home. After a hectic day, it is at this bedroom that the residents would come to take a peaceful night of sleep. So, to make the resting experience even more comfortable and enjoyable, you need to decorate it with your love and warmth. But, many people think that budget is the biggest hindrance in making a room look beautiful. You can certainly make your bedroom the most stunning place in the entire house, without spending huge. It requires ideas and skills to decorate a room and not huge budget. Here are some of the small bedroom decorating ideas on a budget that will help you a lot. What most people make the mistake of is to combine too many colours into the bedroom décor. This makes the room look clumsy. 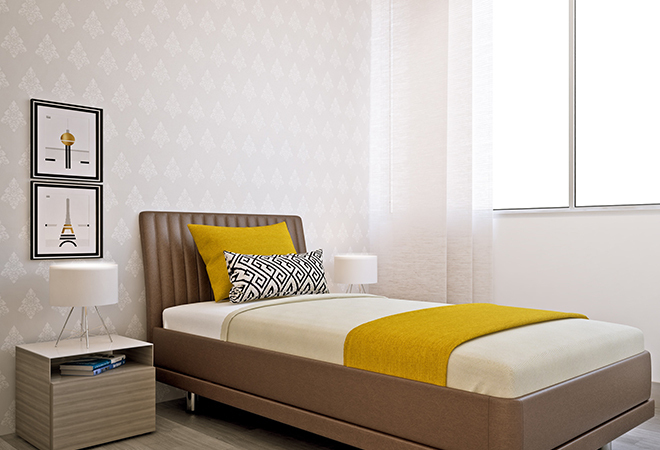 Following a singular colour theme instead, would give the room a stunning makeover. This does not cost you anything at all. Just make sure that the paints that you choose, the colour of the furniture and the curtains or the accessories that you were planning to buy anyway, are all from a singular colour theme. One of the most interesting and easy small bedroom decorating ideas on a budget is to layer your bed linens. Rather than using a single bed sheet to cover the mattress, use a bed sheet and a bed cover from a matching set. Rather than tucking the bed linens under the mattress, letting the hang loosely is a more stylish idea. Along with the mattress cover and the bed cover, use different sizes of pillows and cushions, all matching the colour theme. To break the monotony, you can certainly add a few printed covers for your cushions or pillows. Heart shaped cushions are a lovely option for romantic bedroom decorating ideas on a budget. Always remember, the bed is the main attraction in the bedroom. So keep it stylish. Do not forget to have a matching blanket neatly folded along the edge of the bed. One of the most important tips for decorating your bedroom is that the bedroom should be a comfortable place to spend cosy time with your loved one. So, the space should not be suffocating or claustrophobic. Have as little furniture as possible. Many people make the mistake of having a small sofa set or bed side tables on both sides of the bed. These things are not much necessary. Instead, you can have a chest of drawers that will hold all your necessary belongings. In fact, placing the lamp shade would be easy on the chest. If you have a huge bedroom, you can have a chair in one corner of the room, with a matching cushion like that of the bed, in order to create a symphony with the bed décor. Also choose low cost interior designs to beautify your home. 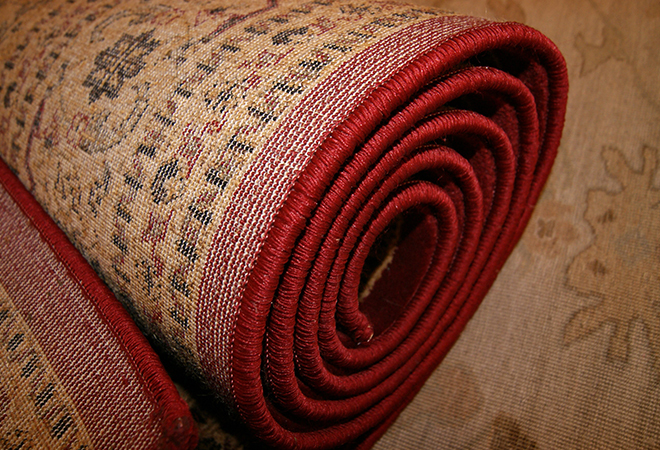 Carpets can transform a simple room into a stunningly beautiful one. It is a great idea to place a carpet right next to the bed. Do not cover the entire bedroom floor with the carpet. Rather, use a small rug or a smaller carpet that will complement the bedroom décor. The colour of the carpet should match the curtains, the wall paint and also the bed linens. Nowadays, many people choose the pastel shades of carpets with one solid colour and no designs or patterns. Placing it halfway from underneath the bed, so that only the front legs of the bed come on the carpet is the trendiest way. Amongst the many small bedroom decorating ideas on a budget, decorating the wall with a wallpaper design is a classic and yet very popular one. What is interesting about the wallpapers is that they, nowadays, come in a wide range of designs. From classic or traditional prints to the digital or modern ones, you will find too many options to choose from. Wallpapers come for a very cheap and affordable price and are very easy to maintain. The best part of the wallpapers is that you can change them easily, whenever you are bored with one. What many people choose to do nowadays is to cover the main wall of the bedroom with the wallpaper and paint the other three walls with a suitable colour that will complement the look of the room. Here it must be mentioned that the black and white wallpapers are the most interesting ones. If you are looking for some of the best small bedroom decorating ideas on a budget, photo frames would be your best pal. They are cheap, but have the potential of transforming your bedroom. You can choose a series of photo frames and arrange them in ascending, descending or asymmetric order to portray your, loved ones’ or family photographs. If you have a small bedroom, the cheap bedroom ideas for small rooms would suggest you not to use too many photo frames. Instead, go for a larger one that will be the main focal point in the room. Placing it right above the bed, on the wall back to the bed, is the best idea. Those, who are blessed with a large bedroom and have enough space to play with, can try making the fireplace a focal point. Gone are those days, when the fireplace had to be located on one wall and the frame to the fireplace was used to put the show pieces or photo frames. 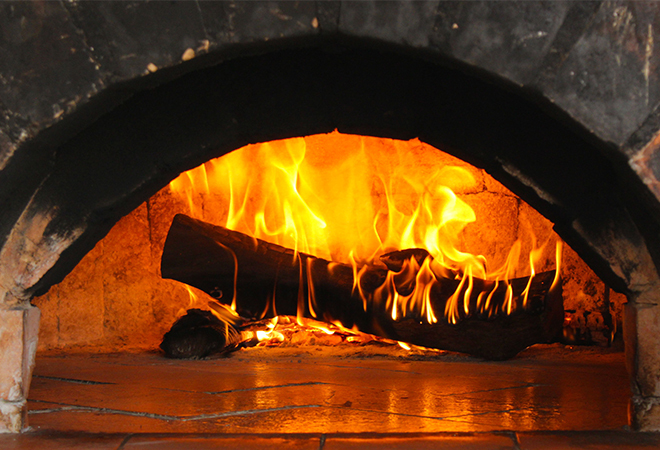 Now, with the latest fireplaces, you can enjoy the transparent walls of the fireplace and thus, make it a divider between two areas of your room. What many people do not have an idea of, is how important the curtains are in a bedroom! Curtains are important for simple bedroom designs for small rooms. They can make any ordinary room look elegant and sophisticated. While talking about the curtains, there is nothing better than the white cotton or linen curtains. They let the lights come in without any obstruction. What you can do is, layer the curtains in different heights, so that it creates a more sophisticated look. Add fringes and laces at the end and even at the top, rather than making the plain loops, use a small layer of curtain there as well. One of the most budget friendly small bedroom design ideas is to use plants. 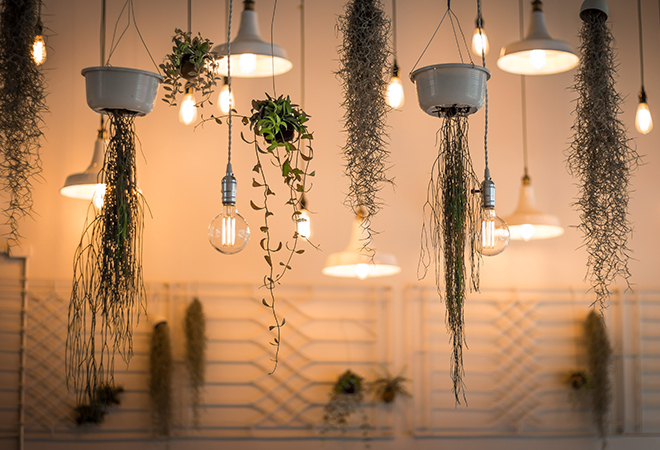 There is not much that you have to spend on, if you choose plants as your decorative items. Just make sure that your room has enough scope for the sunlight and fresh air to come in and place the plants near the windows or cornice or even on the floor that receives continuous sun. Similarly maintain a terrace garden in your house. Cactus are the best ones for this as they do not require too much of care. Do not go for flowery plants as the drying flowers will make the room look upset. Go for the evergreen plants instead, that do not bloom colourful flowers regularly. Lights play a very important role in budget decorations. Using strings of lights on one wall will give the room a refreshing and interesting look are quite simple bedroom decorating ideas. The best part is that the string lights are absolutely inexpensive. If you are not investing much on the rest of the room décor, then you can certainly choose a chandelier as the focal point of attraction in your bedroom. The chandeliers come with dim light system that will allow you to control the intensity of the light. Depending on the occasion and mood, you can control the light with a remote or switch. This is one of those small bedroom decorating ideas on a budget that many people are choosing. Add colour to your wall décor using tapestry. Simply use double sided tape if you can’t drill your walls and decor-up. 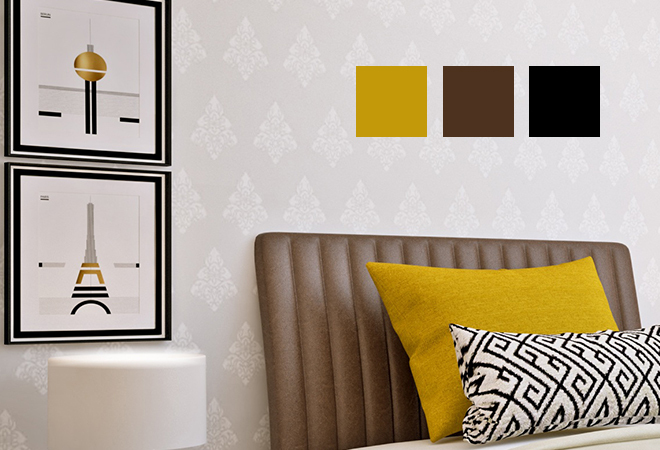 Use a colour theme that matches or any contrasting colour goes with your curtains, carpets and other soft furnishing. This is an easy and simple small bedroom decorating ideas on a budget that certainly wouldn’t make a hole in your pocket. This also includes customizing bookshelves like if probably have stairs in the room you could use the sides of the steps to keep your books, or even place racks across old ladders to convert them into contemporary storage shelves. But if you seriously have space issues and can’t figure out where to accommodate the pile of books, then pile them up beside your bed and use them as your side table or corner tables. Rearranging your bookshelf also can be done artistically; the different colours and sizes of books can be placed in a way to make it looking decorative. This is very easy a small bedroom decorating ideas on a budget that you can certainly change on and off. You could make use of old shoe boxes, empty cans, and coffee mugs into stylish storage space giving them a new look. This resolves the storage problem, makes your room looking tidy, and you can paint and decorate them so that they add beauty to the room as well. This can certainly be a useful tip that helps to reuse the waste wisely in a decorative and innovative way.See 15 Clever Space Saving Ideas for Small Apartments. Make use of your old bed lamps. You can change the shade of the lamps. If you are a creative kind, you can even think or painting the shades with different colours or prick holes making patterns that will definitely transform your room adding extra effects with those trendy lamps. Just a bit of creative thinking is all you need and you will be able to make list of different simple tips for small bedroom decorating ideas on a budget. 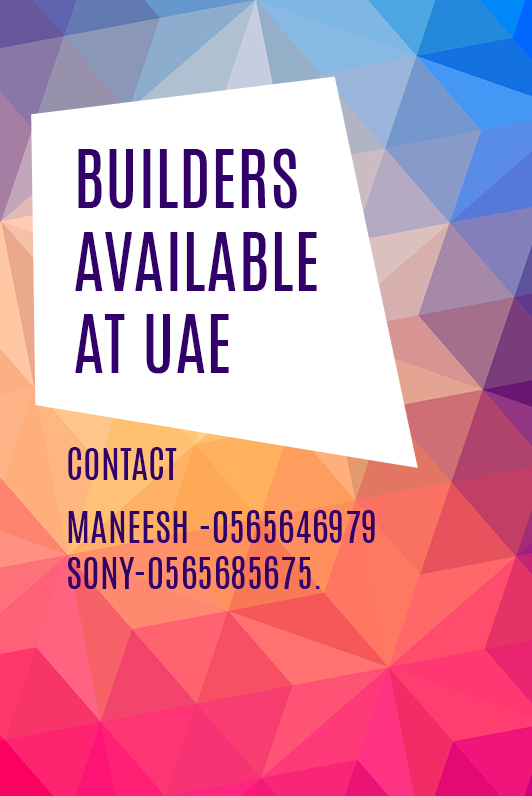 Indraneelam, Builders in Guruvayur is one among the most trusted builders of apartments and villas in the God’s own country, Kerala who have successfully delivered 3 villa projects and 9 apartment projects.Work ethic and mode of operations have made us one among the most trusted companions in the home owning arena. Come, build your dream with us.